HDFC Money Back Credit Card is one of the best credit cards with the money back features. This card is designed specifically to get the return on the expenditure made from the credit card. You can get multiple opportunities to get cash back from this card. Good amount of expenditure provides you a good amount of cash back. Reward point earning depends upon your spending, for every ₹ 150 spend from HDFC Money Back Credit Card, you will earn 2 reward points. Accumulate your Reward Points and you will get ₹ 20 on 100 reward points. Reward Points will be double (2 X Reward Points) on online spending (100% extra reward points). You will get reward points only on retail spending – cash withdrawal, fee or any other charges are not considered in reward points. Transaction less then ₹ 150 even in the retail spending will not be considered in rewards point criteria. HDFC Milestone program Offers gift voucher of ₹ 500 every quarter by doing ₹ 50,000. Reward points are valid up to 2 years for redemption. Minimum 2500 Reward Points needed for reward redemption. If the Credit Card is not used for more than 365 days, Reward Points accrued will be nullified. That means if you want to redeem 2500 reward points, you have to spend a minimum ₹ 1,87,500 in two years. Joining fee and renewal fee are two main charges which every cardholder or new applicant will aware of. Cash Withdrawal charges – If the cardholder accesses their card to withdraw money from ATM in India, the cash advance charges will be applicable – 2.5% of the amount withdrawn or ₹ 500 whichever is higher. Zero Liability on your card lost – If you lost your card, you are supposed to inform immediately to the bank on their 24 hours toll-free number and you are free to any fraudulent transactions made on your card. You have to pay ₹ 100 on the reissue of Lost, Stolen or Damaged Card. On every railway ticket booking from your credit card – 1.8% of the transaction amount + GST is levied. If you spend ₹ 50,000 (Less then ₹ 5000 per month) annually your renewal membership fee is waived off. Minimum Transaction of ₹ 400 on fuel allows you 1% Fuel Surcharge waived off, Maximum cash back up to ₹ 250 per month. Cash Processing Charges is ₹ 100 – If the cardholder makes their payment by depositing in HDFC Bank branch or ATM. Addon card charges are – Lifetime Free. 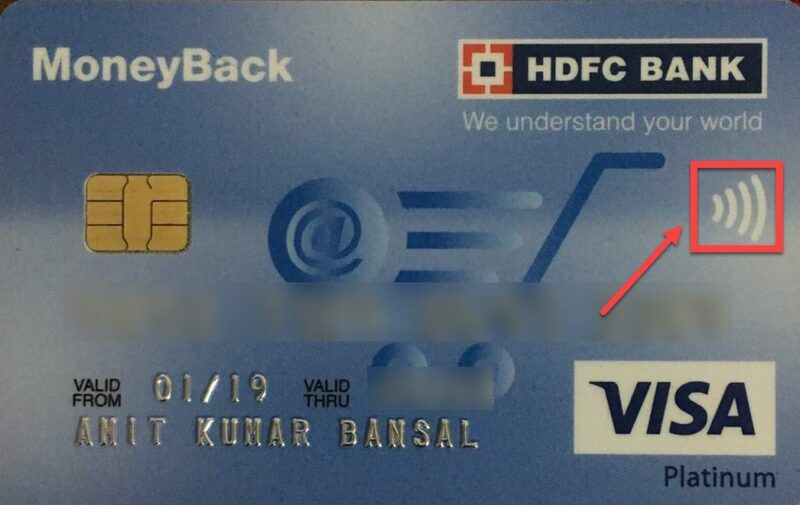 HDFC Bank MoneyBack Credit Card members get the waiver of the first year’s fee if they spend a minimum of ₹ 10,000 within 3 months of set-up date. Any Transaction made from your HDFC money back credit card is interest-free maximum up to 50 Days. 40 % of your Credit card limit is allowed for cash withdrawal. You will also get Accidental death insurance up to 5X times of your credit card limit maximum up to ₹ 50,00,000/- on completion of 4 transactions of your credit card for the subsequent month. The Policy cover Accidental Death from road and rail accident only. Easy EMI facility for your transaction is also available. Always save HDFC Credit Card toll-free number on the mobile – for the emergency to inform them about your stolen or lost credit card to carry zero liability on any fraudulent transactions on your card. Remember to your billing cycle or Billig statement date to avail 100% (50 days) interest-free credit of your uses. Payment due date (you can also adjust auto pay online from your HDFC net banking to avoid missing payment). Keep your 16 digit card number along with expiry date and CVC number (3 digits back on your credit card) in your mind. Don’t share any card related information with anybody. Banks allows judging the source and regularity of the income, the monthly take-home income must be ₹ 13000 per month. Making payment of the Credit card bill on time is very important, It not only save you from interest but also directly improve your CIBIL score. HDFC Net banking – If you are an HDFC bank account holder just link your Credit card with your account and you can easily pay your credit card bill from the online portal. (I personally use it). HDFC Net banking autopay – Autopay is the standing instructions to debit your HDFC Bank account automatically on the particular date of either a minimum amount due or complete monthly outstanding. Other Bank NetBanking – You can easily register the card as the payee and make the payment online, as your transfer to other debtors. HDFC ATM Funds Transfer – HDFC ATM machine also provides the option to pay your credit card bill from your Debit card directly. Cash Payment on HDFC Bank counter – You can direly fill up the credit card bill payment form and pay the amount in cash in any branch. (Cash payment processing fee of ₹ 100 will be applicable). Cheque Payment – You can make payment through cheque by entering your 16 digit card number and deposit the cheque at your nearest bank or HDFC ATM. I am personally using this card from 5 years and my experience is outstanding. I have never failed to pay the bill and My limit starts from ₹ 12,000, today my limit is₹ 2,80,000. ….. a WiFi symbol on my card. If you have this symbol on your card, it means your credit card has the contactless feature. This feature not necessarily required to swipe the card in the payment-enabled device to make the payment up to ₹ 2000. You don’t need to punch your PIN either for payment. It’s a good technology but, If you lost your card, at least ₹ 2000 is gone. Always maintain a good habit of paying your credit card bill on time, that way you can build or improve your CIBIL score. If possible active auto-pay (standing instruction), I am sure you are a busy person. Don’t share any Card related information to anybody. Avoid cash transaction from your credit card. Don’t carry your credit card on regular travel, it will force you to spend more. Always read every SMS carefully you received from HDFC Credit card section, sometimes you will great benefits like E vouchers or online shopping offers. Also Read: How to use Credit Card Wisely in India? 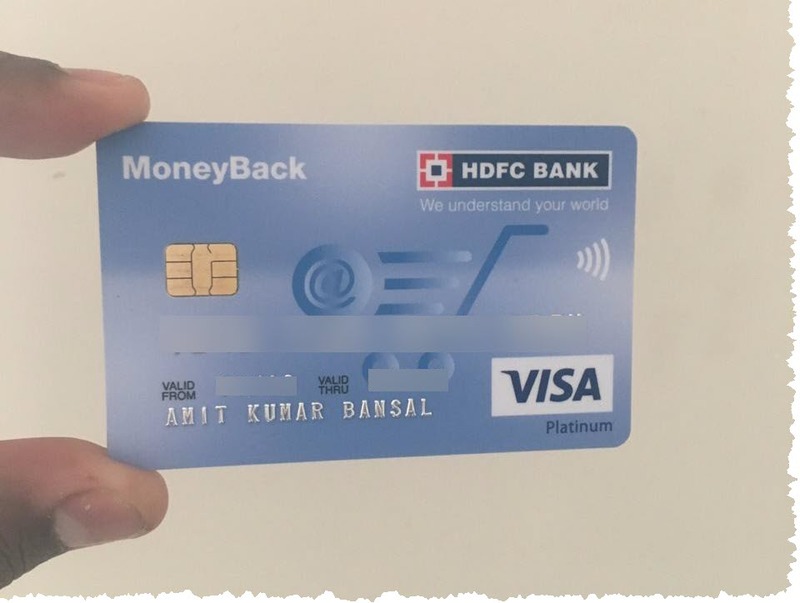 I have covered almost every aspect of HDFC Money Back Credit Card in this article along with my personal experience. Fell Free to ask a question and leave your comment below.